HomeBlogHome DecorIvo-03 Coffee Table by Hani Rashid & Lise Anne Couture for Meta. The Ivo-03 coffee table was designed by Asymptote Architecture for the British manufacturer Meta. 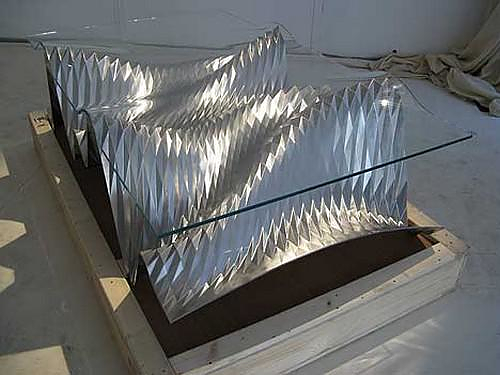 According to its designers the coffee table is pure applied geometry. 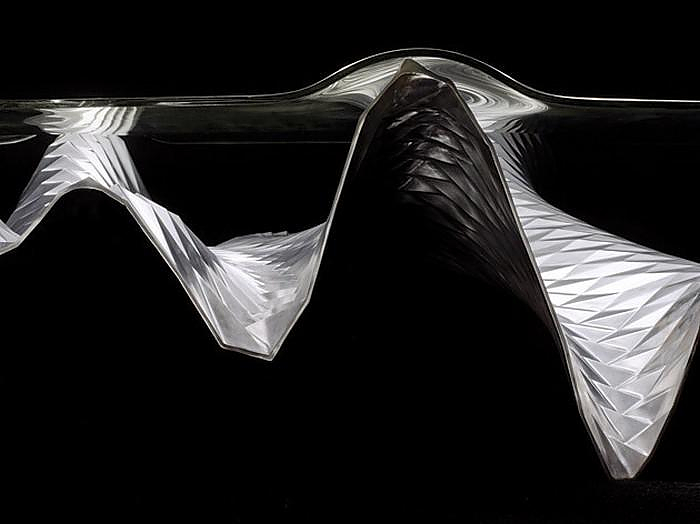 Asymptote architecture is formed by Hani Rashid and Lise Anne Couture. In case you missed it, Hani is the brother of design super star Karim Rashid. 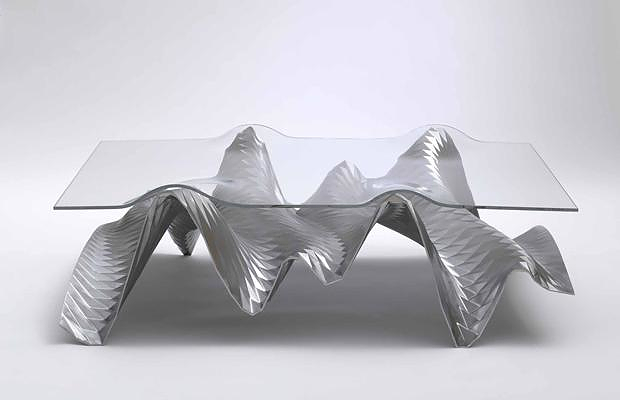 Ivo-03’s tabletop is made of curved glass that balances on top of a wavy base. The base is made of a solid piece of high resistance steel that gets molded very carefully into its final shape. This method creates an artifact with extremely high resistance, way better than casted metals, but requires countless working hours and a giant 5 ton block of steel. 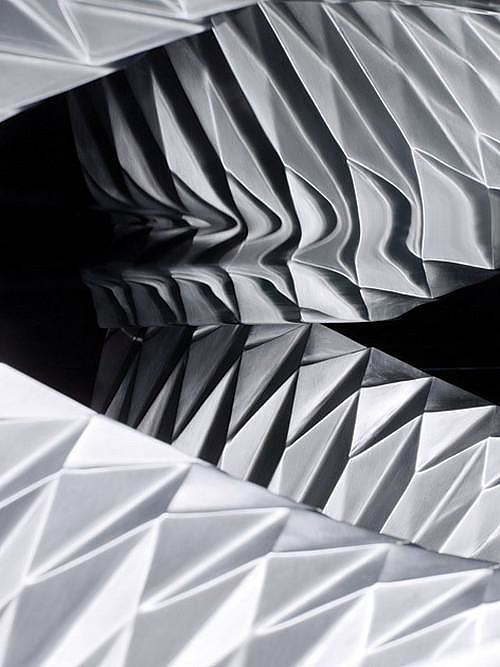 The most impressive feature of the Ivo-03 table is the sculpted base surface which is covered by more than 2,000 polyhedral diamond shaped modules. Mapping these modules was made with the help of a mathematical algorithm. Even if they look similar, one can notice from a closer distance that each angle is different. 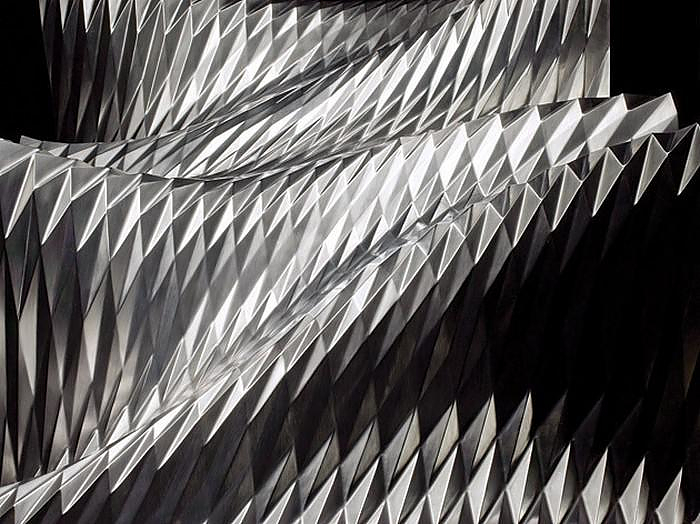 Just the final polishing of the material took 300 hours, as every angular surface gets individually hand-polished. In the end, the result is impeccable and unifying. 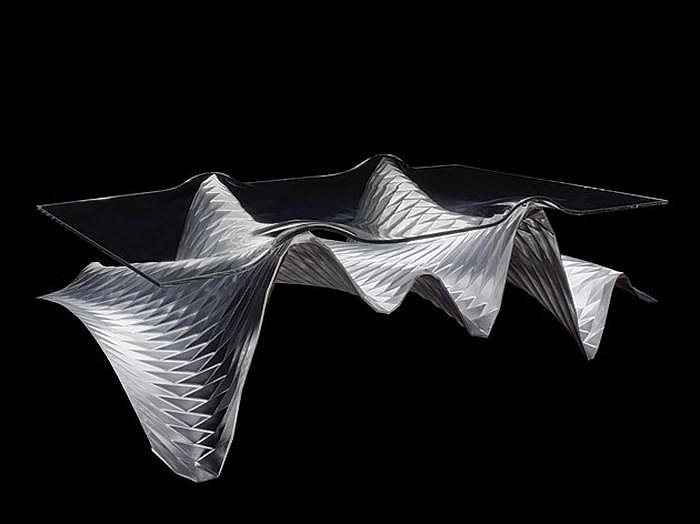 It seems that talent runs into the family, and Karim’s brother, Hani, has designed some very interesting projects besides the Ivo-03 table, including buildings and landscape architecture. Unfortunately the Ivo-03 coffee table has being created to impress and not to enter mass production. It is strictly made to order for the overwhelming price of 150,000 euros!